This document explains North Belfast Harriers Anti-fraud and Corruption Policy and the steps that must be taken where fraud is suspected or discovered. All members should be aware of this while Board of Directors must bring its contents to the attention of their members. Any person who becomes aware of any fraud, corruption or other illegal acts and does not follow this policy could be subject to disciplinary action. It is important that all members North Belfast Harriers are aware of the risk of and means of enforcing the rules against fraud and other illegal acts involving dishonesty, deception and other related activities. For simplicity all such offences are hereafter referred to as “fraud”, except where the content indicates otherwise. This document sets out North Belfast Harriers policy for detected or suspected fraud, and incorporates best practice within the field regarding counter-fraud measures and takes account of the latest legislation. Fraud is theft by deception. It is deliberate intent to temporarily or permanently deprive a person or organisation of money or goods through the falsification of any records or documents. Bribery and Corruption where someone is influenced by bribery, payment or benefit in kind to unreasonably use his or her position to give some advantage to another. False Accounting/Book keeping is a common type of fraudulent behaviour and can be committed both by individuals who are involved in the handling of money or dealing with any of the financial aspects of the organisations day to day running and those responsible for the production of the organisations annual accounts. Theft includes any misappropriation, stealing, malicious damage, and actual or attempted break-in. Collusion occurs when two or persons in the organisation conspire/collude to defraud the organisation. 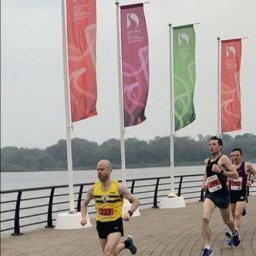 North Belfast Harriers tries to ensure that a risk (and fraud) awareness culture exists in the organisation that reduces the likelihood of fraud occurring. North Belfast Harriers Committee bears primary responsibility for these measures, although it is recognised that all members have a part to play in ensuring their efficiency. It is expected that members at all levels will lead by example in acting with the utmost integrity and ensuring adherence to all relevant regulations, policies and procedures. A culture of openness, honesty and probity is strongly encouraged. Any persons that suspect cases of fraud are required to report and keep the Committee informed of any fraud cases that come to light. 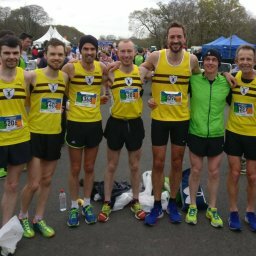 North Belfast Harriers is absolutely committed to maintaining an honest, open and well-intentioned atmosphere within the organisation. It is therefore also committed to the elimination of any fraud and to the rigorous investigation of any such cases. North Belfast Harriers expects anyone having reasonable suspicions of fraud to report them. It recognizes that whilst cases of theft are usually obvious, there may only be a suspicion of fraud and thus staff must report any concerns to their manager or other suitable persons who can then ensure that North Belfast Harriers procedures are followed. It is also North Belfast Harriers policy, which will be rigorously enforced, that no person will suffer in any way as a result of reporting reasonably held suspicions. All members/persons can therefore be confident that they will not suffer in any way as a result of reporting reasonably held suspicions of fraud. For these purposes “reasonably held suspicions” shall mean any suspicions other than those that are raised maliciously and found to be groundless. This document states the roles and responsibilities of North Belfast Harriers staff and/or officers in reporting fraud or other irregularities. •	Developing and maintaining effective controls to prevent and detect fraud. Staff are expected to act in accordance with the North Belfast Harriers standards of Business Conduct and to follow guidance on the receipt of gifts or hospitality, available from line managers or personnel. Staff also have a duty to protect the assets of the North Belfast Harriers, including information and goodwill as well as property. The North Belfast Harriers Rules and Regulations place an obligation on all staff to act in accordance with best practice and at all times to act honestly and with integrity and to safeguard the resources for which North Belfast Harriers is responsible. North Belfast Harriers officers are subject to the same high standards of accountability, and are required to declare and register any interests that might potentially conflict with those of the North Belfast Harriers. Managers must be vigilant and ensure that procedures to guard against fraud are followed. They must try to establish an anti-fraud culture within their team and ensure that information on procedures is made available to all their staff. They should identify the risk of fraud within their section and consider the adequacy of previous controls. Managers should be alert to the possibility that unusual events or transactions could be symptoms of fraud. Where they have any doubt they must seek advice from their immediate manager or finance officer. All cases of theft whether of (North Belfast Harriers or visitor property must be reported to the Committee. The Committee will liaise with the Chairman, Treasurer, and relevant manager where an employee is suspected of being involved in fraud or corruption. The Chairman is responsible for ensuring the appropriate use of the North Belfast Harriers disciplinary procedure, and will advise those involved in the disciplinary process in matters of employment law and in other procedural matters. The Chairman must take steps at recruitment to establish, as far as possible, the previous record of potential staff in terms of their propriety and integrity. In this regard, temporary and ‘fixed term’ contract staff are treated in the same manner as permanent staff. taken where theft is discovered or suspected. The Disciplinary Action section provides a guideline of the key “what to do” steps to be taken where fraud or other illegal acts are discovered or suspected or alternatively the North Belfast Harriers should document the specific procedures which they themselves have developed. Managers/appropriate personnel are encouraged to copy this to staff and to place it on staff notice boards. Every effort will be made to protect an informant’s anonymity if requested. However, North Belfast Harriers will always encourage individuals to be identified to add more validity to the accusations and allow further investigations to be more effective. In certain circumstances, anonymity cannot be maintained. This will be advised to the informant prior to release of information. This must be reported to the Committee who will undertake an investigation into the alleged incident. Suspected fraud must be investigated in an independent, open-minded and professional manner with the aim of protecting the interests of both North Belfast Harriers and the suspected individual(s). Suspicion must not be seen as guilt to be proven. The investigation process will vary according to the circumstances of each case and will be determined by the North Belfast Harriers Executive Committee. An “Investigating Officer” will be appointed to take charge of the investigation on a day-to-day basis. This will normally be the Treasurer or exceptionally,chairperson. Where initial investigations reveal that there are reasonable grounds for suspicion, and to facilitate the ongoing investigation, it may be appropriate to suspend an employee against whom an accusation has been made. This decision will be taken by the chairperson in consultation with the treasurer. Suspension should not be regarded as disciplinary action nor should it imply guilt. It is important, from the outset, to ensure that evidence is not contaminated, lost or destroyed. The investigating officer will therefore take immediate steps to secure physical assets, including computers and any records thereon, and all other potentially evidential documents. They will also ensure that appropriate controls are introduced to prevent further loss. The Investigating Officer will ensure that a detailed record of the investigation is maintained. This should include a chronological file recording details of all telephone conversations, discussions, meetings and interviews, details of documents reviewed, tests and analyses undertaken, the results and their significance. All interviews will be conducted in a fair and proper manner. Where there is a possibility of subsequent criminal action, the police will be consulted and interviews may be conducted under caution in compliance with the Police and Criminal Evidence Act (PACE), which governs the admissibility of evidence in criminal proceedings. The findings of the investigation will be reported to the North Belfast Harriers Executive Committee, who will determine, in consultation with the Investigating Officer, what further action (if any) should be taken. North Belfast Harriers will take appropriate steps, including legal action if necessary, to recover any losses arising from fraud, theft or misconduct. This may include action against third parties involved in the fraud or whose negligent actions contributed to the fraud. It is essential that all staff act at the time of their concerns, as time is likely to be of the utmost importance to prevent further loss to the North Belfast Harriers. However, staff must not confront any individual that they suspect. They must bring this to the attention of the Executive Committee. Staff should also keep or copy any documentation that arouses their suspicions. The disciplinary procedures of the Club will be followed where an employee is suspected of being involved in a fraudulent or illegal act. This may include dismissal. See North Belfast Harriers disciplinary procedure for further information. •	First of all ensure that there is a reasonable belief that a fraud has been committed prior to commencing investigations. •	Secure and collate evidence which will be necessary for substantiating suspicions. •	Report your suspicions to Executive Committee of the organisation. (if the incident of fraud suspicion/discovery involves a member of the executive committee, raise the matter privately with relevant personnel. 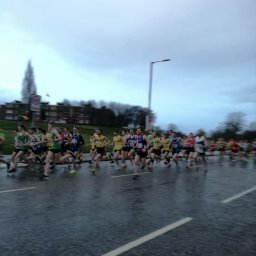 •	If you feel that your suspicions have not been adequately investigated, bring the matter to a higher authority outside of the North Belfast Harriers (eg. the organisations governing body) if applicable. •	If you feel that your suspicions have not been adequately investigated by both the club and the governing body document the procedures which you have gone through and report the matter to the PSNI. In the case of proven fraud, or suspected fraud of a serious nature, North Belfast Harriers reserves the right to refer the matter to the PSNI at the earliest possible juncture.